When you face significant legal challenges, you want a lawyer you can trust. Lawyer James M. Wirth, Esq., founder and principal attorney of the Wirth Law Office, began our Tulsa, Oklahoma, law firm in order to provide the aggressive representation and personalized services you can count on. Our law firm concentrates on the issues important to individuals and their families, including criminal defense, family law, personal injury, workers' compensation matters, immigration law and consumer bankruptcy. We believe in providing balanced representation, meaning that we do not sacrifice your needs in order to improve our own financial or personal gains. Throughout the duration of your case, we seek to partner with you in achieving results that best address your needs and goals. We also understand that trust in your lawyer cannot be demanded, but must be earned. We provide a free legal consultation with attorney James Wirth for just this reason, so you can judge for yourself whether we would be the best firm to handle your case. 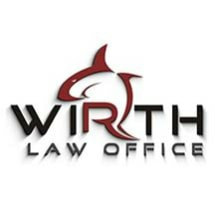 The Wirth Law Office maintains five office locations staffed with skilled attorneys who have the experience and familiarity with the local court system needed to successfully manage your case. Our experienced legal team has achieved jury trial acquittals, six-figure settlements and successful appeals at the state appeals courts as well as the Oklahoma Supreme Court. Please note that outcomes for each case will depend upon their specific circumstances, and past successful results do not guarantee the success of future cases. Our Tulsa office is located directly across the street from the courthouse. When you are going through a divorce, you need an ally who will represent your interests, move at your pace and pursue the outcomes you desire. A Tulsa divorce attorney explains how to get the legal representation you prefer in your Oklahoma divorce. The criminal defense attorneys at Wirth Law Office provide the legal expertise you need when you are facing misdemeanor or felony criminal charges. Injuries caused by a car crash, a slip and fall, a medical error or an animal attack can take a devastating toll. An Oklahoma injury attorney seeks to recover maximum compensation when an injury was the fault of another person. Child custody cases can be fraught with emotion and complicated by desperation. A Tulsa child custody attorney helps parents achieve outcomes that will assure their children a safe secure future. Getting a fair child support order might seem like the goal in a family law case, but collecting child support is not always so easy. A Tulsa child support lawyer can help parents get the support they are owned.